Last night & today we had our bi-monthly BCA events. 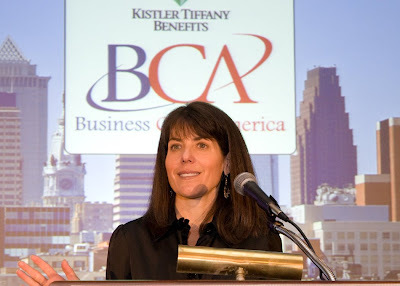 For those of you that follow my blog the BCA is a business development group. The Philadelphia franchise is owned by Ron & Liz Jaworski. 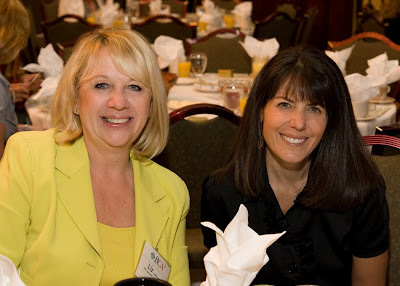 This month our speaker was financial journalist & author Jean Chatsky. Many of you know her from her many TV appearances. 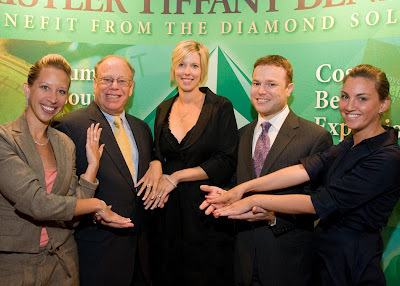 She gave us so many tips on how to keep our finances on the right track. Last night the cocktail reception was at the Hub in the Cira Center. This morning we had our largest ever breakfast crowd at the Union League. Even though it's a very early morning for me it pumps me up all day. 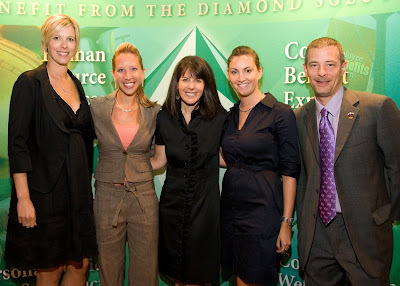 Our newest members Hy & Rich Goldberg from Safian & Rudolph Jewelers dressed Joleen, Chrissie & Jenna in gorgeous jewels. Unfortunately they made them give them back at the end of the breakfast. Oh well!